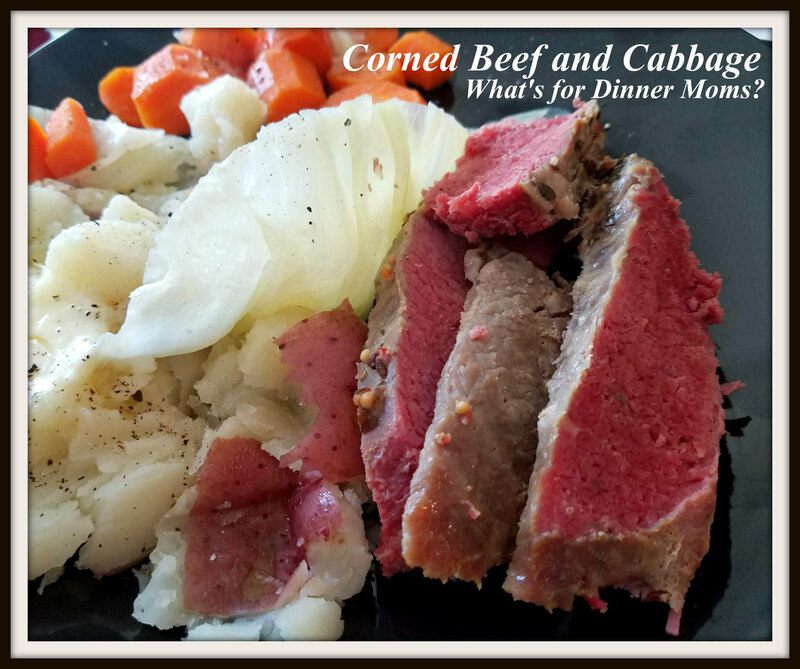 4 Delicious Dishes Made with Corned Beef Leftovers – What's for Dinner Moms? Everyone have their corned beef and cabbage for St. Patrick’s Day? We love corned beef and cabbage and I buy 4-6 briskets when they are on sale this time of year. You don’t need to just have brisket. The leftovers can be made into so many things. Sometimes I will even cook an extra brisket just to have LOTS of leftovers. 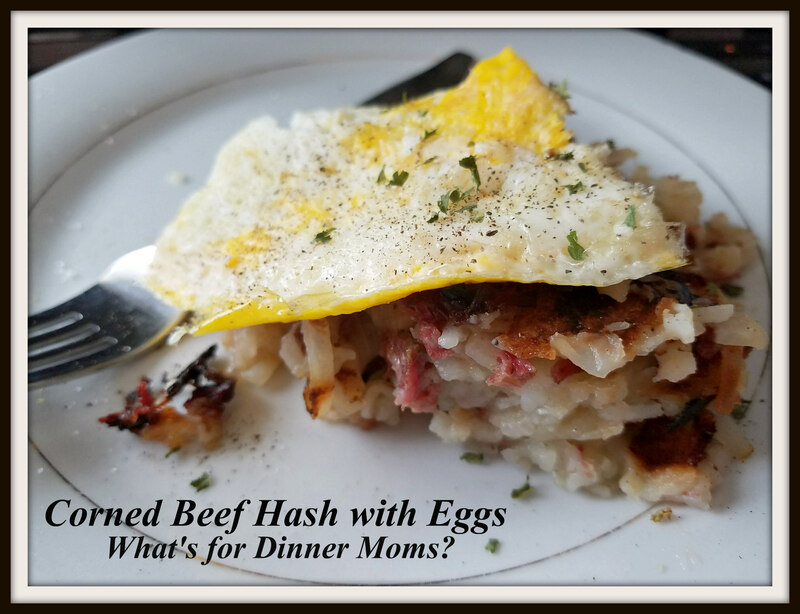 Simple Corned Beef Hash with Eggs (click here for link to recipe) can be a delicious breakfast or dinner. One of our favorite meals is breakfast for dinner. Use frozen potatoes to make this dish even simpler! 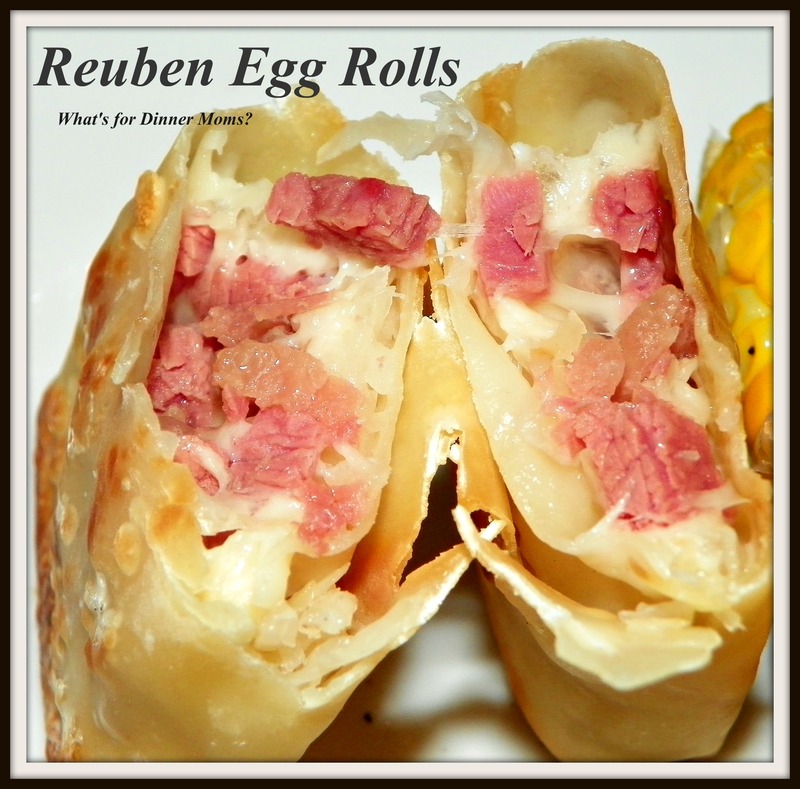 Reuben Egg Rolls (click here for link to recipe) are a fun and easy way to use some of the leftover corned beef, cabbage (or sauerkraut), and cheese. You can bake them or deep fry them (they are delicious both ways). 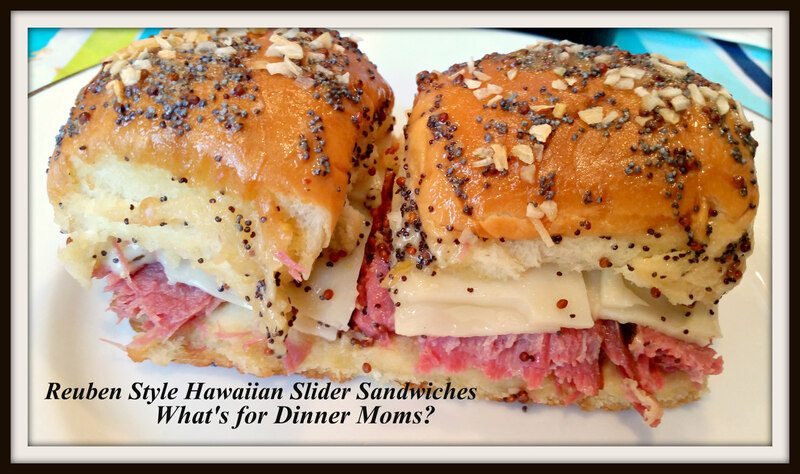 These little Reuben Style Hawaiian Slider Sandwiches (click here for link to recipe) are probably the number one recipe on my blog. I love those little sandwiches with ham and cheese but these are even better! A great use for leftover corned beef or buy some in the deli section just to make these. Only have a small amount of corned beef leftover? 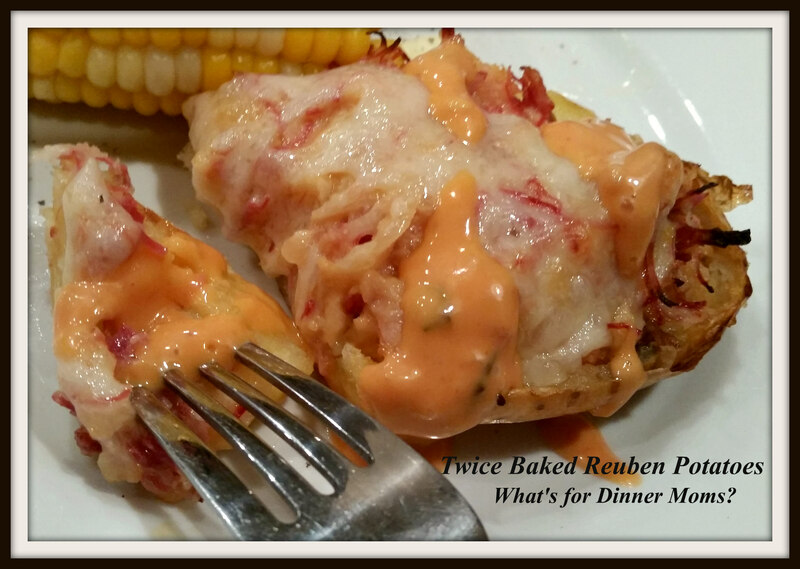 These Twice Baked Reuben Potatoes (click here for link to recipe) might be just the thing to use up the last bit of leftover corned beef. Filled with Swiss cheese, corned beef, sauerkraut, and topped with a drizzle of Thousand Island dressing these are a flavorful meal with a nice side salad. Hope you had a great St. Patrick’s Day and can find some delicious ways to use up those last little bites of corned beef!